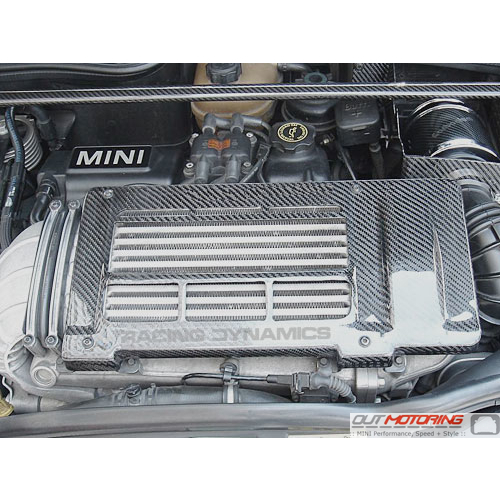 Carbon fiber engine/intercooler cover, MINI Cooper S R53 2002 on. 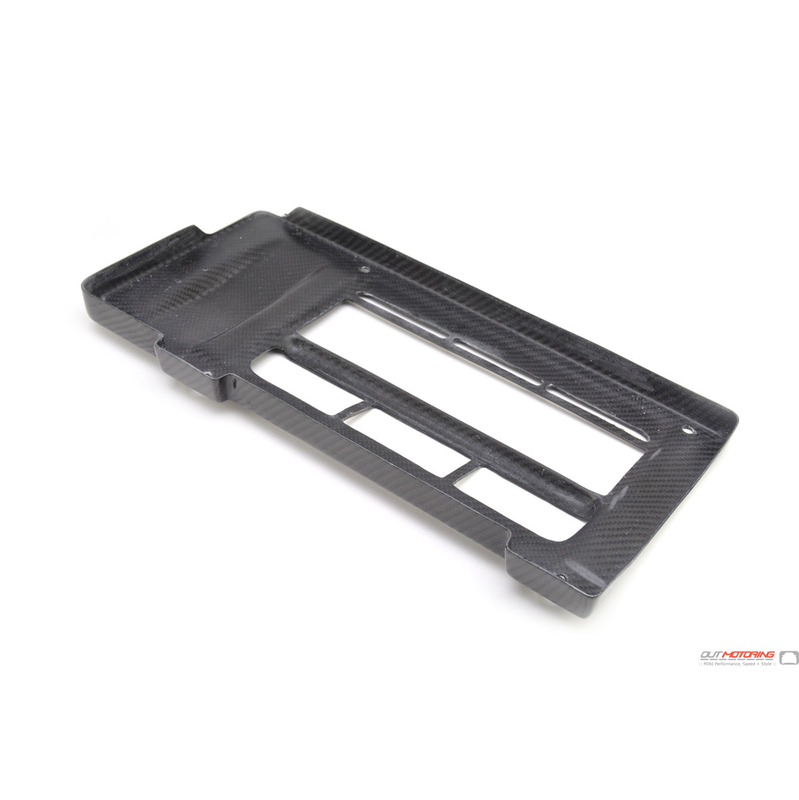 One-piece real carbon fiber. 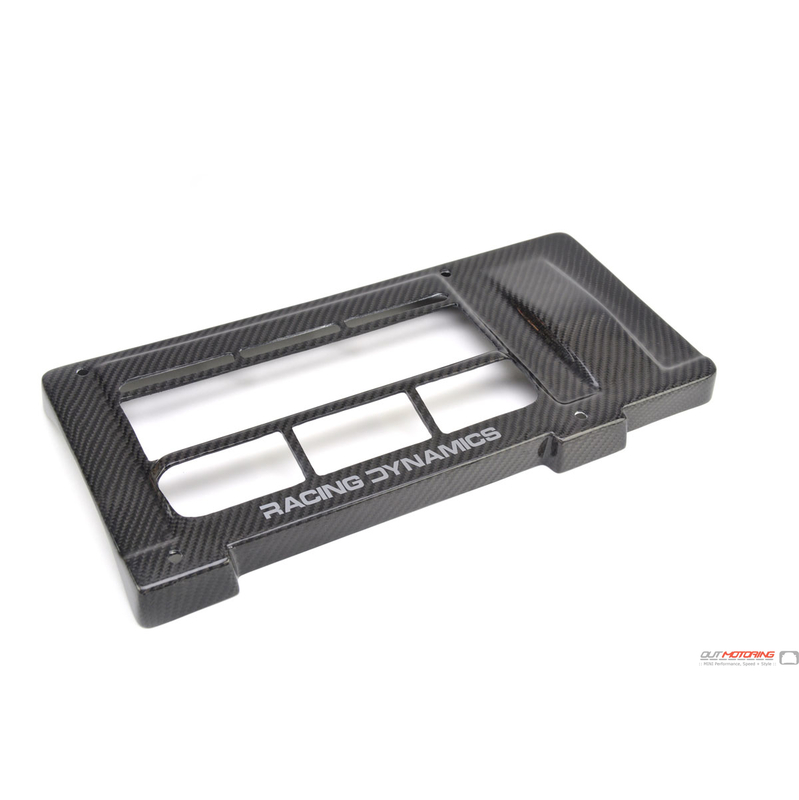 The cover comes with the RACING DYNAMICS logo in silver to compliment the black carbon fiber finish. Great looking addition to your engine compartment. This is a complete cover replacement not an overlay.